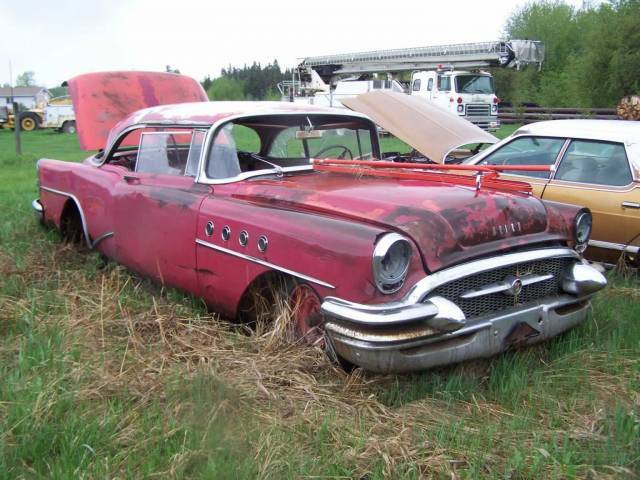 1955 Buick Super Photo Picture Classic Cars for sale & Classifieds - Buy Sell Classic Car & Classic Truck Classifieds. The chrome is just phenomenal! I'd rather be in the Buick than in that '70s Mercury behind it. I love '50's Buicks. Someone get this back on the road, PLEASE!